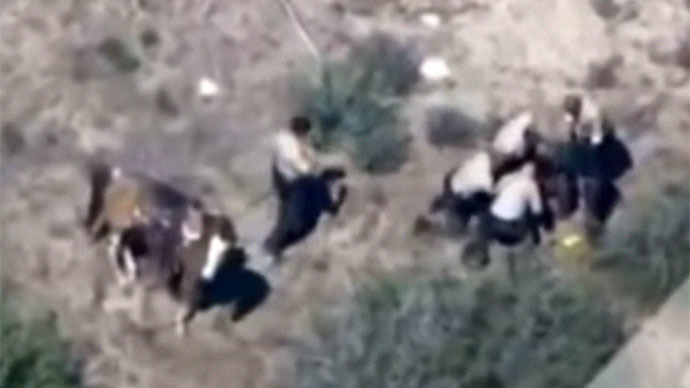 The California man beaten by sheriff’s deputies after a three-hour desert pursuit will be paid $650,000, the San Bernardino County Board has decided, adding the settlement was not an admission of wrongdoing. Francis J. Pusok, 30, led the San Bernardino deputies on a 3-hour car, foot and horse chase through the desert on April 9. The final moments of the chase were caught by a news crew in a helicopter, and showed eleven deputies kicking, punching and hitting Pusok with batons. The FBI is conducting a civil rights inquiry in the case, while the deputies involved face a disciplinary investigation and possibly a criminal probe. Pusok was charged with possessing stolen property, reckless driving, theft of a horse, and felony evading.